Exercise has numerous health benefits and can help you look and feel at your best. However, an injury can happen at any time, even for the most experienced or physically fit individuals. Some injuries can put you out of commission for weeks or even months. By adhering to a few simple prevention tips, you can have a great workout while minimizing the risk of injury. How do exercise related injuries occur? The simplest exercises, under the right circumstances, can result in an injury. You may feel a pinch or other immediate pain, but over time, the pain can worsen and become a problem. Getting fit or building strength takes time, and those who rush their progress are the ones who often develop injuries. Injuries will vary based on the type of exercises you perform, how often you exercise, and the intensity of your workouts. The following are some of the most common exercise injuries. Muscle pulls commonly occur in the back or legs as a result of strenuous workouts. You may experience cramping, swelling, and limited range of motion. Repetitive movements and overuse can also cause tendinitis, or the inflammation and irritation of a tendon. It can occur in almost any area that experiences repetitive exercise, including the shoulder, knee, elbow, hip, or the Achilles tendon at the back of the heel. Your joints can undergo immense stress during workouts, causing pain and fatigue to the muscles, cartilage, and tendons. 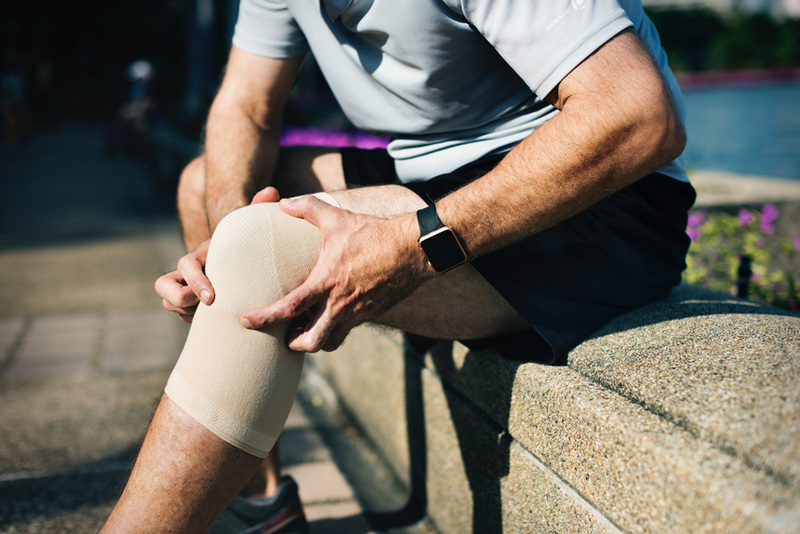 Knee pain is common because they bear your weight during any activities, often with greater stress in workouts, particularly some weight training. The knees also have many ligaments and tendons that can become irritated with improper use and excessive repetitive motion. Ankle sprains can happen even after the simplest misstep, and have varying degrees of severity. Injuries can range from minor pain to a complete tear. Take it slow. When increasing the weight, speed, or duration during workouts, be conservative and advance slowly. Putting too much strain on your muscles in a short period of time can lead to pulled muscles. Consult a personal trainer to help you learn what is considered a safe and healthy pace. Use proper techniques. Heed the advice of personal trainers regarding breathing techniques, form, and proper equipment. Avoid unnatural movements that can put unnecessary strain on your body. Listen to your body. If you experience pain or fatigue, stop exercising and rest. Seek medical attention if you think you may be injured. Physical therapy or other treatments can help you avoid longer term pain, discomfort, or the risk of a serious injury. At Heiden Orthopedics, we treat all types of sports and exercise-related injuries. Established by a former Olympian, our approach is to use the most advanced treatments for injuries sustained during exercise.